The scoreline looks routine, but the match certainly wasn’t. 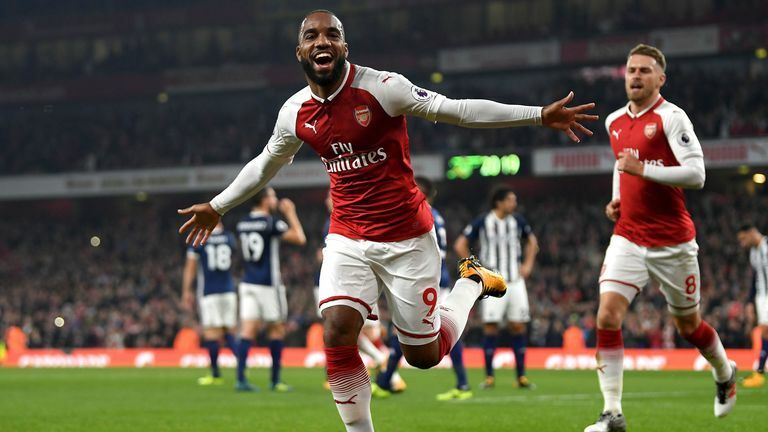 Despite the turbulent performance though, Arsenal now have three victories out of three at the Emirates and a very winnable game against Brighton to come this weekend. As we look to rebuild after the early wobble every victory, no matter how scrappy or uninspiring, is precious. There were a few tweaks to the team that put in such an excellent performance at Chelsea. There was no Iwobi, presumably through injury and Welbeck is facing yet another spell on the sidelines. In came Alexis and Elneny, with Ramsey moving up to form the right side of the front three. Everything else was left untouched, having worked so well to earn a point at Stamford Bridge and arguably outplayed the Champions. However, it didn’t look quite so solid on Monday night. The majority of the first half was fine, Arsenal dominated possession and did the majority of the attacking, without creating a huge amount of clear cut opportunities. It was hardly surprising, West Brom had a large contingent of defensive players set up in the way Pulis, resplendent in his tracksuit and baseball cap, likes to play. Twenty minutes in though, we won a free kick on the edge of the area and Alexis stepped up. His effort was tipped onto the bar by Foster, but Lacazette was there to immediately head in the rebound. Three goals in three home matches for Lacazette, who looks to have been worth every penny we paid to bring him in. He consistently gets in to the right positions, looking to pounce on exactly the type of rebound he was presented with on this occasion. He’s an out and out goalscorer, but with the ability to link the play and drift into the channels. I only wonder why it took us so long to actually pull the trigger on his transfer. 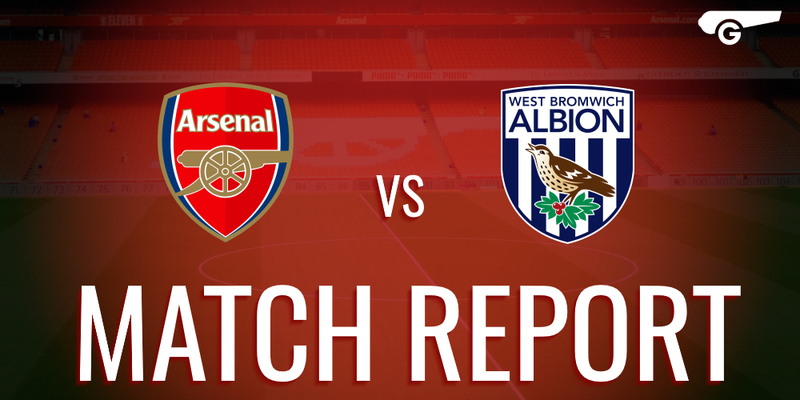 Unfortunately, things fell apart a bit towards the end of the first half and there was an alarming period where West Brom threatened to score with every attack. The warning signs were already there before we scored, when Mustafi tried his very best to give away a penalty. The German went diving in recklessly and cut Rodriguez in half in the area and was only saved by the fact that West Brom contrived to somehow miss the gilt edged opportunity in the seconds after the ‘tackle’. I can only assume that the referee played the advantage and decided that he didn’t need to bring it back for the penalty. After we scored, things went downhill quickly, the defence was all over the shop and wasn’t helped but the fact that Xhaka and Elneny didn’t seem to know where they should position themselves. They struggled with it for the whole first half and Xhaka in particular looked all at sea. He gave the ball away in bad areas and put us in trouble a number of times. It was a miracle that we got to half time without conceding and thanks largely to Monreal’s incredible goal line clearance from Rodriguez’s header. The positive was that after half time, the players seemed to compose themselves and reasserted control over the game. We took the bite out of things and on 60 minutes, Ramsey won the penalty that we would secure the game with. I’m not sure what Allan Nyom was thinking, but he shoulder charged Ramsey as the Welshman raced into the box and Madley pointed to the spot. Lacazette stepped up and added to his impressive penalty record, placing the ball into the corner despite Foster guessing correctly. After that, the game was well under control and we saw it out without much trouble, which was quite encouraging to see. That second half performance is exactly what we need more of, it was assured and confident, not giving West Brom a sniff. With the difficult schedule we have at the moment, the ability to close games out and conserve our energy will be crucial. On the subject of the schedule, I’ve only just clocked how ridiculous it is. Following our Monday night game, we played away at BATE Borisov, followed by a 12pm Sunday kickoff against Brighton. Looking further ahead, we then face three away games in a row with Watford, Red Star Belgrade and Everton on a Saturday, Thursday and Sunday respectively. It really makes me angry how little the Premier League do to help clubs playing in Europe. Other leagues, particularly the Bundesliga, will shift games to maximise rest times before European games, but it appears the Premier League want to actively minimise that. Not only that, but this is the second time this season that we face two consecutive away games in the league, having already played Stoke and Liverpool away back to back. In fact we’re scheduled for a third and fourth double away stretch in December when we face Southampton and West Ham away, only three days apart and then Palace and West Brom four days apart at the end of the month. I haven’t checked any of the other team’s schedules to see if this is a league wide occurrence, but four sets of back to back away games with two in the same month seems very excessive. More and more it seems like common sense has been abandoned in the Premier League scheduling offices and the fans and players are given no consideration whatsoever. I expect that Wenger’s response to this will be to continue to field fringe and youth players in the Europa League and Carling Cup and I can’t blame him. Many teams have struggled to deal with the issues that trying to go hard at both presents, so I don’t see that the manager has any other option. In fact it may even serve as a positive and allow the likes of Maitland-Niles and Reiss Nelson to get game time and Jack Wilshere can hopefully get some more minutes under his belt for fitness.